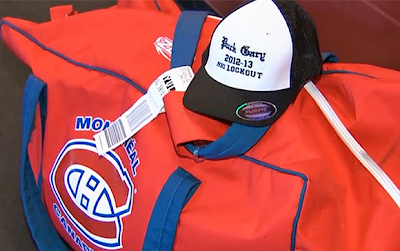 Habs fans are finally starting to see what kind of GM they have in Marc Bergevin and so far, there is a much to like. Now he just needs to execute on the opportunities he’s creating for the team. 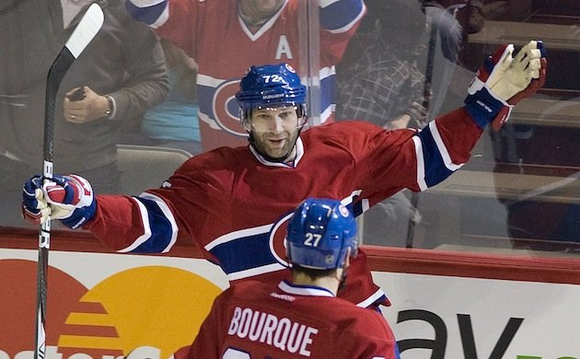 Bergevin was proactive on two fronts yesterday when he traded Erik Cole to the Dallas Stars for the expiring contract of Michael Ryder and a 3rd round pick in 2013. The goal? Help the Canadiens now and down the road, which is a far cry from the "NOW!" mentality this team has been obsessed with for so long. With just 2 points in his last 11 games and only 1 road point all season, a power play assist in game 3 vs. Washington, time had run out for Erik Cole to get his game in gear. Being a slow starter might have been acceptable in past years but Cole is now 34, the 2012-13 season is 40% complete and the Canadiens play 10 of the next 14 on the road. Bergevin was proactive to try and deal with the situation before things potentially got ugly. While Ryder doesn’t bring the physical game or room cred Cole does, the slot is his office space, he's equally responsible defensively and the Habs need goals, now. Michael Ryder has 10 points in his last 11 games, half coming on the power play with 7 of those games on the road while freeing up $1 million in cap space. Clearly, there’s a lot of “now” at play here. With the Habs playing 10 of the next 14 on the road while on pace to score fewer even strength goals per game than last year, Bergevin was right to act when he did, while the Habs try to do the near-impossible and sustain the lowest level of even strength goals against not seen in the NHL for decades. I believe the cost of continuing the wait for Erik Cole was just too risky for Marc Bergevin, both in terms of standings and trade value. If the next 14 games didn’t go well, and that might still happen, there would be just 2 games left to play before the April 3rd trade deadline when the Habs travel to Philly to play the Flyers. If Cole continued his season-long funk, especially on the road going into the trade deadline, and there’s little to suggest that wouldn’t have happened, his value would be a fraction of what it is now. With two more years to go on a $4.5 million contract that’ll end when Cole is 36, that risk might have been palatable to Bergevin if the cap remained on course for $80+ million but now that it’s heading down to $64.3 with the new CBA, it was more likely to cause acid reflux. Dallas message boards were largely expecting to receive a 2nd or 3rd round draft pick from Montreal in addition to Erik Cole, mainly because they were adding term and age to their roster. Makes sense in a way so when it turned out the Habs were in fact getting a 3rd round pick with Michael Ryder, there was the usual downplaying of its value. These days, just 22% of 3rd round draft picks will go on to play 2 seasons or more in the NHL so the downplaying is largely justified. Fortunately for the Montreal Canadiens, they have Trevor Timmins who has had success beating the odds at the draft table. His wheelhouse? The 2nd and 3rd round. Timmins has been given nine 3rd round picks to work with during his time in Montreal and has converted 8 of them into Alexei Emelin, Ryan O’Byrne, Tim Bozon, Mac Bennett, Ryan White, Yannick Weber, Steve Quailer, and Joonas Nattinen. By any measure, that’s beating the house and with 6 picks this summer in rounds 1, 2, 2, 2, 3 and 3, Timmins is positioned to deliver once again, assuming they keep most of their picks. As for Michael Ryder who turns 33 next month, he’s probably just a rental for the now while Marc Bergevin adds to the Habs draft stockpile and plots how best to reinvest the money later. With about $12.5 million in cap space already freed up for next year and Kaberle’s $4.25 million soon to be added, the planets are aligning for Bergevin to do something big. Time to tread carefully.